Will definitely return for another awesome experience. 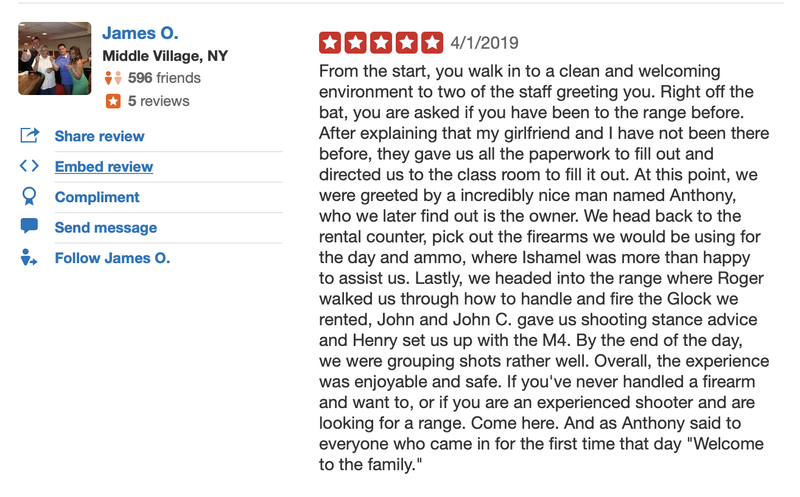 - Gun For Hire | NJ's 6 Star Indoor Gun Range! Will definitely return for another awesome experience. Home/Testimonials/Will definitely return for another awesome experience. Nice and friendly staff. Ronnie and John were very helpful. Clean and well kept facility. Will definitely return for another awesome experience. I can not compare prices with other venues because it was my experience of its kind. But I felt it was money well spent on celebrating my birthday.